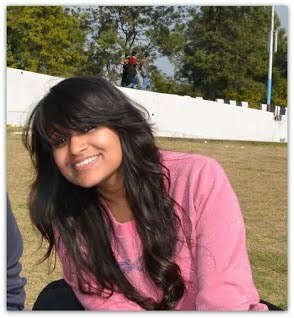 Hello friends, I am from NIT Hamirpur studying in ECE. My main interest is towards coding. I have been involved in various coding activities including designing the college fest’ website. Apart from this I like to play, dance, hangout with friends and watch new places. I got the chance to have my internship in IIRS, Dehradun which is a branch of ISRO. The scientist over there research over remote sensing through various softwares and equipments. We didn’t get any stipend but learnt a lot.The duration was 2 months from morning 9 am to evening 5 pm with a lunch break in between. Rest depends on you, if you want to go early, you can talk to your mentor and go. Minakshi: We used to keep ourselves updated about these big organisations like DRDO, IITs and ISRO through their official websites. We came to know about this through their main website only. Rest we used to keep a check over the departmental notice boards, through class tpr and various fb pages. Minakshi: In my view they used to look into the projects we have done, the college you have been associated with, your field of interest and most importantly first come first served was one of the main criteria of selection. IF: What qualities of yours – educational / otherwise, you feel helped you in having an edge over the selection process? Minakshi: I think my various MATLAB coding projects helped me to get an edge in selection process. Minakshi: This is really funny. All my friends who sent their applications with me received their joining letter 1 month earlier than me. So I got panic that I was not selected but this was due to ‘Indian Postal services’ that my letter was delayed. And we all know that when we receive happiness like this it makes us happier. Minakshi: Much preparations were not required as nothing was demanded by them. All we needed is to search for a good pg nearby. IF: So Minakshi, could you please highlight us with what work/research project you carried out during the internship period? It’s application in near future and your work in it? Minakshi: We did our project on image segmentation with fuzzy c means method. It is used in segmenting small parts from big maps and masking. Minakshi: Best thing was the inner beauty of the institute and the highly educated faculty. Work culture was awesome. People there were really passionate about their fields. IF: What was the guidance provided by your guide? What all support you received from your intern institute administration? Minakshi: Guide used to provide us various required facilities and pdfs of basic guidelines. Rest there is google to help you and in extreme cases you can go to your guide for further explanation. Minakshi: My friends who told me about this and were with me during the project as my project partners. IF: Tell us exactly how to apply for this internship? Any links/pdf or anything which can help students applying next year. Minakshi: You need to get the form from the official website and then you need to speed post them along with your CV. Minakshi: It really made a great difference. I really gained a lot in terms of knowledge and determination to finish a code. It gave me some sort of confidence and experience of working in an organisation under a guide. Wonderful experience! Minakshi: In future I want to be a good coder and my internship helped me a lot to analyse these skills in me. Minakshi: It is really a great platform for everyone to get the real picture of any organisation and I think it will be really helpful for the upcoming batches. Great initiative guys. Keep it up. IF: So Minakshi, we are at the end of the interview. From the entire team of InternFeel, we thank you for taking out your time and sharing your experiences for everyone and we wish you best of luck for all your future endeavors.